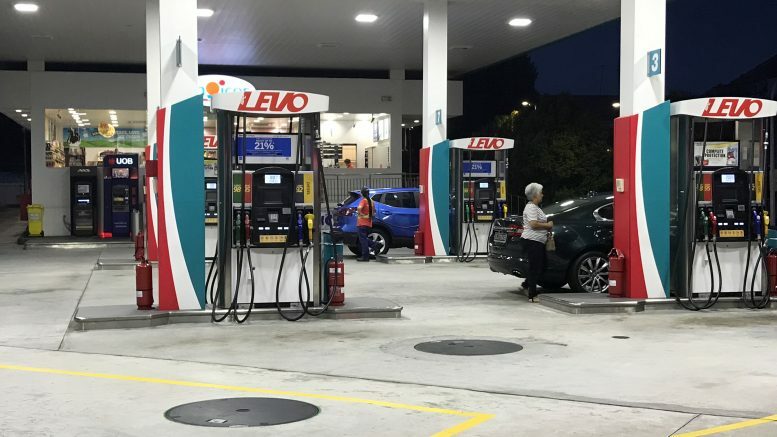 An Esso petrol station in Singapore’s Tanjong Katong area; taken October 2018. Crude oil prices may rebound in Asia on Friday after a sharp drop on Thursday driven by concerns that global supplies are outpacing demand. Traders are looking for a technical bounce in prices after losses this week on the front-month contract. ICE Brent crude oil was quoted down 1.51 percent at US$70.98 a barrel, while NYMEX WTI eased 1.46 percent to US$60.77 a barrel. Brent settled down 1.97 percent at US$70.65 a barrel on Thursday. WTI ended at US$60.67 a barrel, down 1.62 percent. Growing production in the U.S. and key Middle Eastern nations such as Saudi Arabia and Iraq has offset expected global supply losses from renewed U.S. economic sanction on Iran, which began this week, but which were watered down by waivers granted to major importers such as China and India. In addition, data on Thursday that showed China, the world’s top crude importer, shipped in 9.61 million barrels per day (bpd) in October for a record. But the figures only provided a brief gain in prices. Ahead, the weekly Baker Hughes U.S. oil rig count data are due at 1300 US EDT and could provide direction with the last reading down 1 to 874.